As an enthusiast of Apple products and passionate iOS developer, I always dreamed that sometime, I might join such a conference and get in touch with Apple engineers. I didn’t think it would soon come true until about a month ago when I was proposed to participate and got the confirmation. The excitement is hard to describe in words but I am very grateful I had such a chance. Sure, I could have just watched the recordings and gone through the available documentation as I did up to now but the experience of being present here – watching the presentations live and being present at the sessions, meeting the experts and getting feedback about technical challenges I encountered and approaches I took to solve problems cannot be replaced by offline self documentation. From the very first day and the minutes and hours that followed, I was impressed and surprised. It started with the number of participants and huge queues that were beyond my imagination and continued with the news and surprises from the keynote, followed by details that came out of from multiple sessions. I just wished I would have been able to participate in all of the sessions and labs but that was not possible as there were multiple subjects running in parallel. 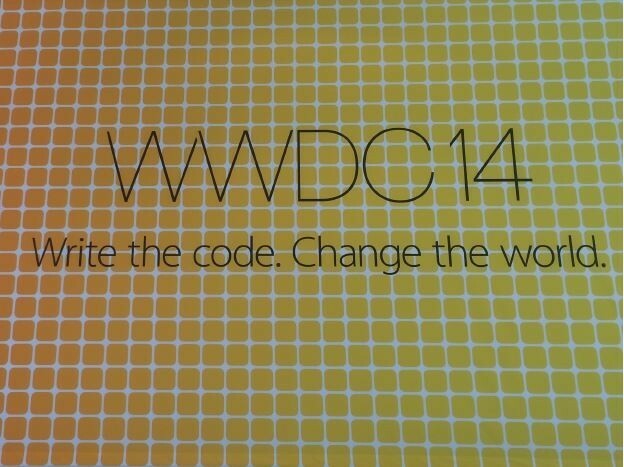 For me, the biggest keynote surprise was the new programming language introduced by Apple called Swift. By a strong connection between Apple and Objective-C, I wasn’t imagining such a change. I may feel now again like a junior developer but I am actually an eager one, impatient to learn new things offered by Swift and new frameworks. Things are always changing and it’s our responsibility to adapt and not only make use of latest innovations but be part of the progress. From all the presented news, it remained into my mind a main subject that from my point of view, the word “integration” would best describe it. Mobile devices will get highly connected with computers and with the introduction of Extensions, there are plenty of opportunities for apps to interconnect and develop new features based on interconnectivity. Other great functionalities may be brought to end users by making use of new frameworks like HealthKit and HomeKit. Another great experience I had was in a session about “Designing Intuitive User Experience”. 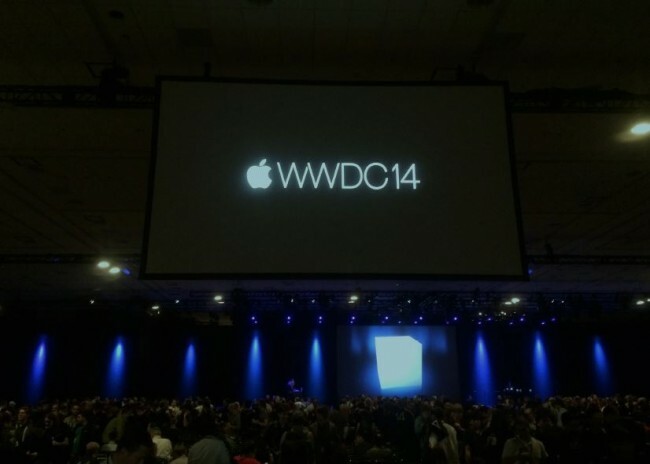 We got very useful ideas from Apple experts in this area which is highly vital for a great app. Hand in hand with having a good design goes application performance. A performant application with flawless navigation and fast views presentation is a must. And here we also have very promising support from the new XCTest performance testing framework that I plan to use from day 1 on all projects I will be involved. Developing from the very beginning with performance in mind is crucial and early feedback offered by this new feature will help a lot. In the debugging area we will also get great support. Here I am referring to Views debugging where we can easily inspect in a 3D space the decomposed view hierarchy and easily find the issue we are looking for. Early fast feedback we also get by using the Playground area where we can just write the lines of code we would like to prototype and we will immediately see the output on line by line execution. There are many other interesting topics to be covered which are already available or will be soon available on the Apple site. I am impatient to go through those that I missed and even watch the recordings of the sessions I attended, to rediscover the details. Dorel Macra is an Engineering Manager at 3Pillar. He brings with him more than 13 years of total work experience mainly in the area of software development and projects involving a high degree of people management. Prior to joining 3Pillar, Dorel has worked in the software development industry in the automotive domain and interacted with end customers from both Europe and US markets. 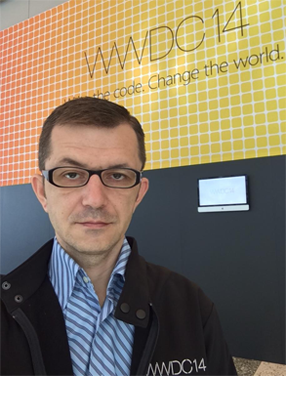 At 3Pillar, Dorel is responsible for development of iOS mobile projects. Apart from his direct responsibilities as an Engineering Manager, Dorel also contributes extensively in the development activities due to his sheer passion for iOS development.